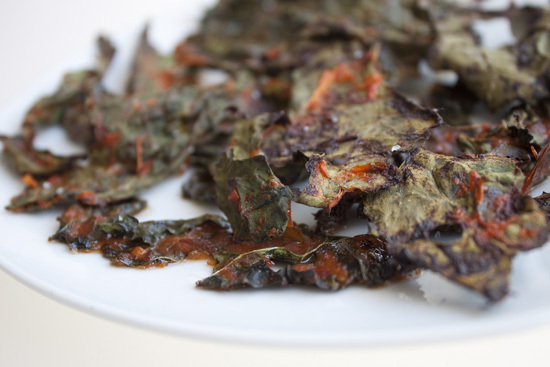 top: baked bbq kale chips. bottom: dehydrated kale chips. Here is another delicious green leafy recipe to get you eating more greens and loving them too! There are so many ways to enjoy kale and other green leafy veggies. Kale chips are really crunchy and delicious and are a healthier alternative to potato chips. Try them and be amazed! Prepare the kale: Wash the kale and pat it dry. 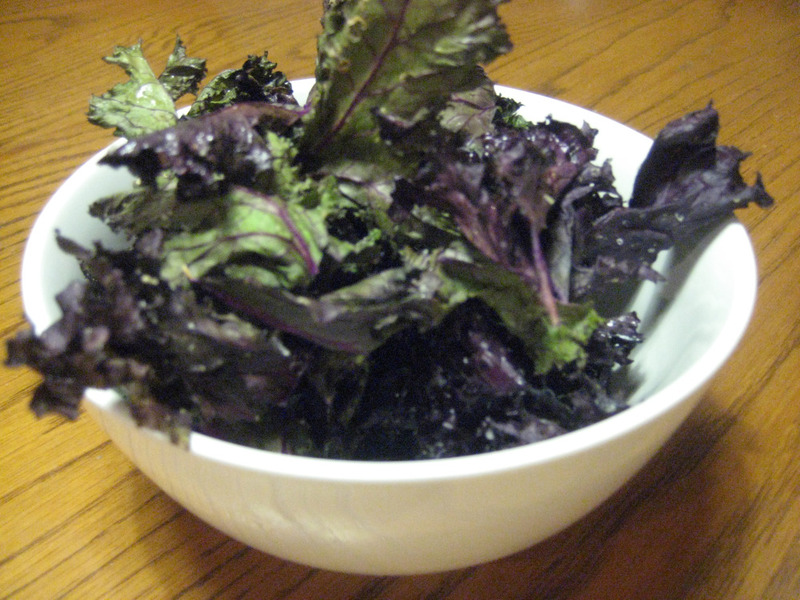 Then rip the leaves into chip-sized pieces away from the stem until you have ripped up the whole bunch of kale. Set the leaves aside. Make the BBQ Sauce: Slice open the red capsicum and remove the seeds. Place half of the capsicum facing down in a baking tray along with the sliced roma tomatoes, onion and garlic cloves. Drizzle with a bit of olive oil. Bake in the oven for 20-30 minutes at around 180 degrees C or until they have roasted. After they are roasted, take all of these ingredients out of the baking tray, discarding any water that has come out of the veggies. Add the roasted capsicum, tomatoes and onions to a blender. 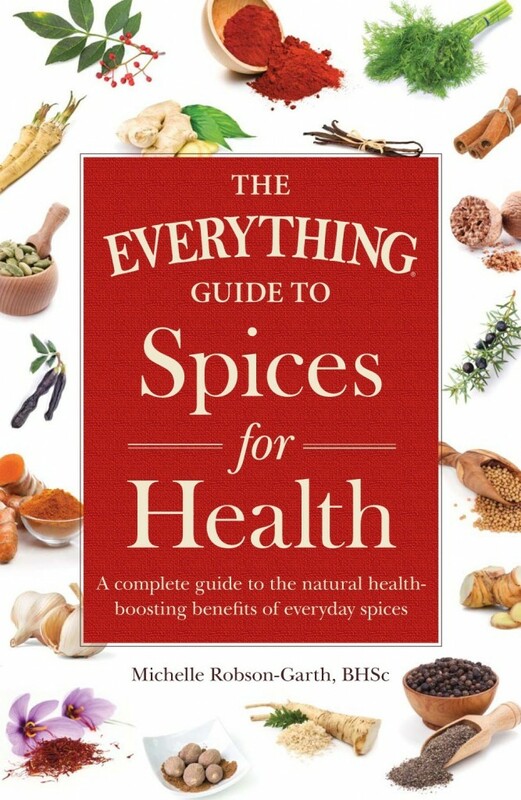 Peel the garlic and add it to the blender along with the sweet paprika powder, Worcester sauce and red chilli if using. Blend these ingredients until you have a smooth paste. Leave the paste to cool. 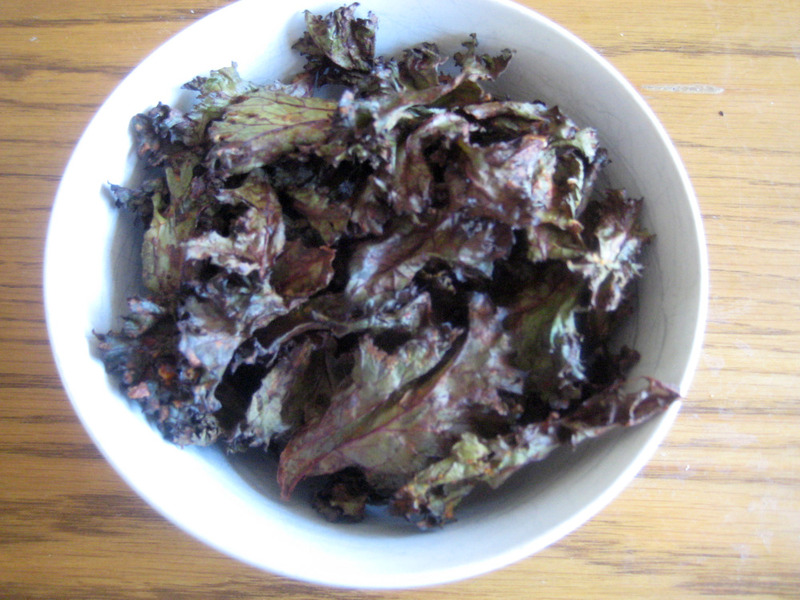 Make the BBQ Kale Chips: When the paste is cool, Pour it over the kale pieces. Make sure each kale piece is covered by the roasted veggie paste. Bake or dehydrate the kale (see instructions below). To bake in an oven: Place the kale chips on a coconut oil greased baking tray. Bake at 180 degrees C (fan-forced) or until crispy and crunchy. 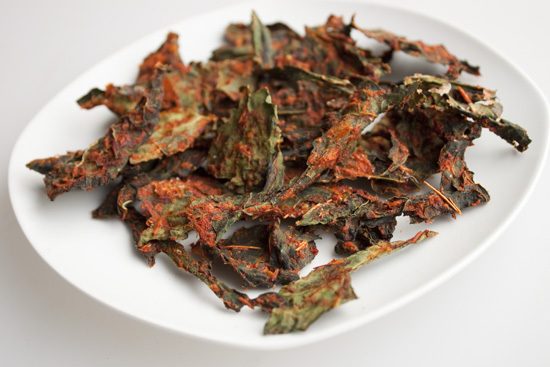 To dehydrate in a dehydrator: Place the kale chips on a dehydrator tray and dehydrate at 45 degrees C/115 degrees F for 6 hours or until crispy and crunchy. Ummm, YUM! Last time I tried bbq kale chips it was a freaking disaster – LOL. But, my recipe was far different from yours – so, I might have to give these a try! P.S. 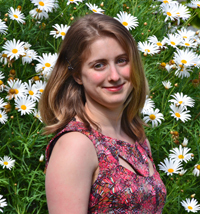 I love the home page of your blog and how easy it is to see all of your past post… Good design!